Blogging is an integral part of your online content marketing strategy. Our Blogging Services provide you with content that is written by professional pool industry specialists, engaging your customers by getting to the heart of topics they care about. Whether you’re looking for custom content or choosing from a populated library of pre-written evergreen blogs, we take your target audience, keywords and topics into account when providing you with high-quality content that meets your needs. 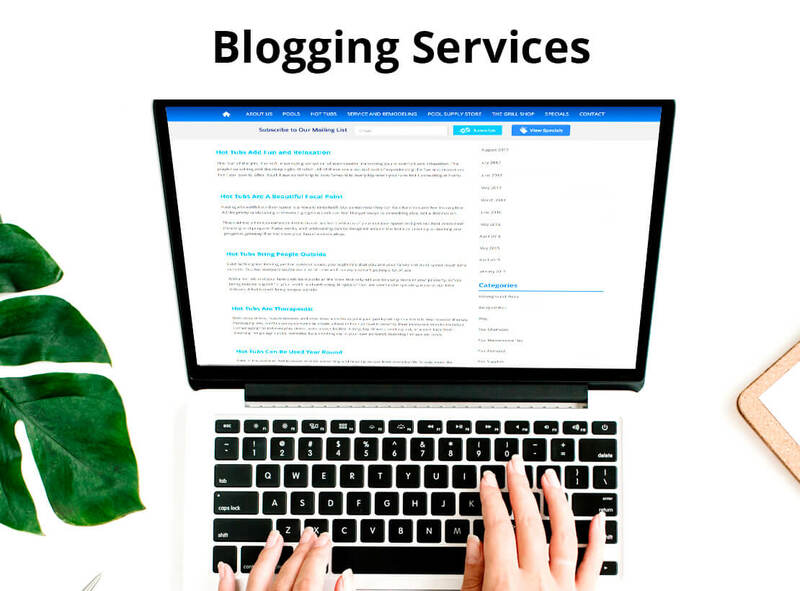 Our pool and spa industry experts will handle all of your blogging needs and differentiate you from the competition with our Blogging Services. By incorporating either custom or evergreen blogs featuring timely topics in relation to your pool construction, maintenance or retail services into your website, you provide your customers and wide-reaching social audience with a wealth of information on pool ownership, pool maintenance, pool products and so much more. CUSTOM: Custom blogs feature timely information on pool ownership, pool maintenance, pool products, and so much more, written by industry experts in relation to the specific pool construction, maintenance or retail services you provide your customers. EVERGREEN: Evergreen blogs are written by professional pool industry specialists and are keyword rich to assist with search engine optimization. You can choose from a large library of pre-written blogs to meet your company’s brand messaging needs. Blogging is a great way to connect with customers and help promote your business. Publishing informative, well-written articles by pool and spa industry specialists that are created with strategy and customer engagement in mind boost traffic and can help your business long after they are published. During your free consultation, we’ll establish your company’s needs and deadline. We’ll gather all the information we need to create engaging content that is cohesive to your brand. Then we’ll do the rest and send you your completed blogs.